The Energetic Transformation Workshop 1 includes the ENERGETIC TRANSFORMATION BOOK by Kathy Sinnett required for the class. A common remark heard from workshop participants is that they feel transformed by this class. You give and receive each of these techniques: you will find this to be a healing and learning experience. 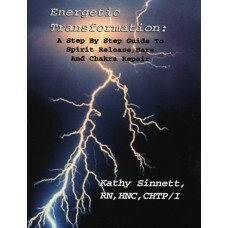 This class is being taught by Ann O'Malley http://www.touchhealer.com or (630)674-8040. You may see a full description of the class and details on her website.